There’s a big difference between being able to speak the Crow language and being able to teach it. But, for a language used by a dwindling number of people in the roughly 13,000 member tribe, there aren’t many teaching resources. The Crow Summer Institute helps fill that void. 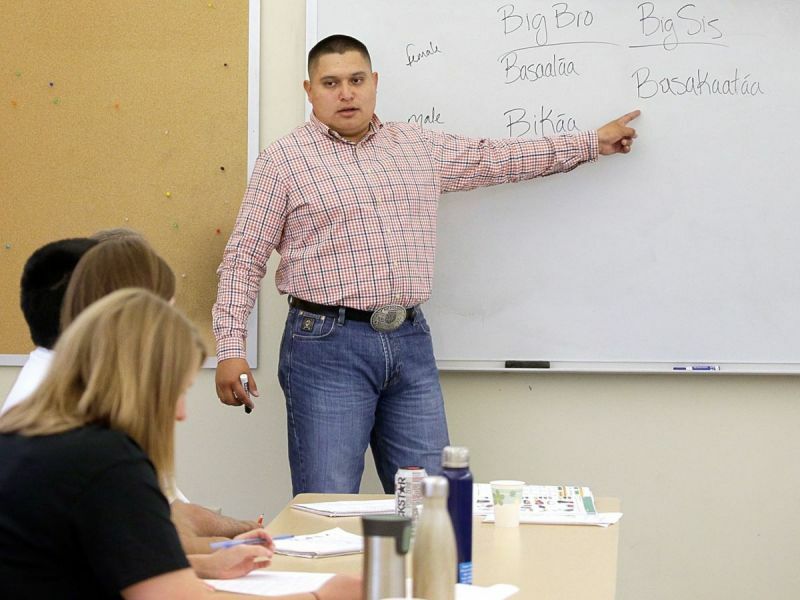 The institute, organized by the Crow Language Consortium, Little Bighorn College and The Language Conservancy, a nonprofit that works to save endangered languages, is in its fourth year. Check out the full length article on the Billings Gazette website.